I thought Nick Offerman's Yule log video was the best Yule log video ever. Now, I'm not so sure. With the premiere of Star Wars: The Force Awakens and Christmas within a week of each other, this just might be the best Yule log video ever. Either way, enjoy! 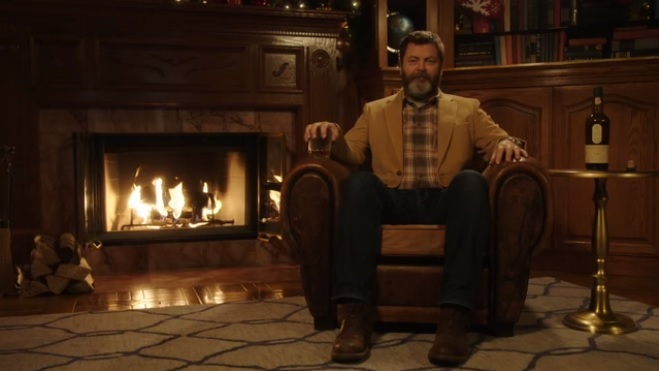 There are countless Yule log videos out there, but only one features Nick Offerman sitting in silence with a glass of whisky next to a crackling fire. Enjoy!